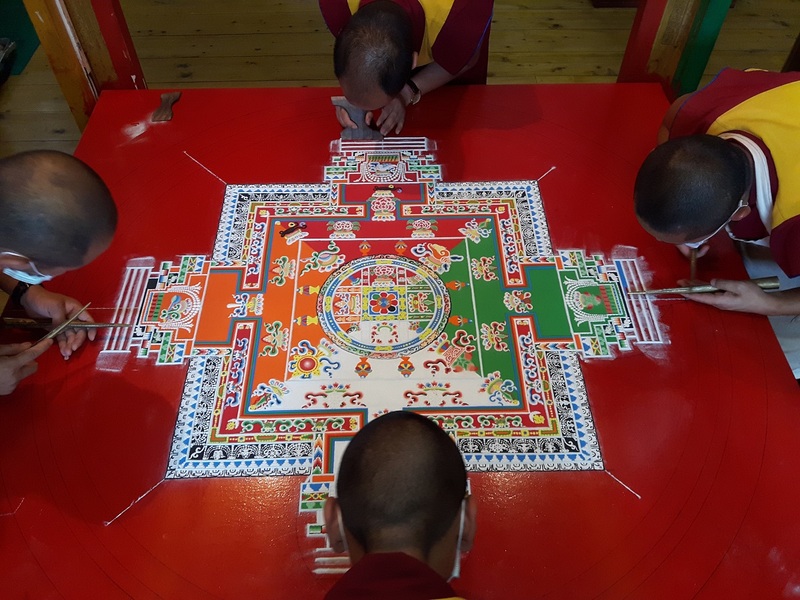 This year the annual Guhyasamaja ritual ceremony of Namgyal Monastery was began on 14th of May with ground ritual, followed by construction of colored sand mandala for three days. The ceremony is headed by the monastery’s ritual master Ven. 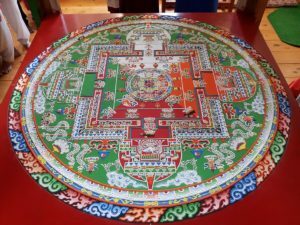 Lobsang Tender. 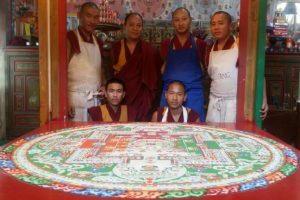 Namgyal monks constructing the mandala. The actual ritual ceremony of the Guhyasamaja ritual began on 13th of fourth month of Tibetan lunar calendar (19th of May). We are so honoured and fortunate with the presence of his Holiness the Dalai Lama, who attended the puja on the third day and blessed the ceremony. 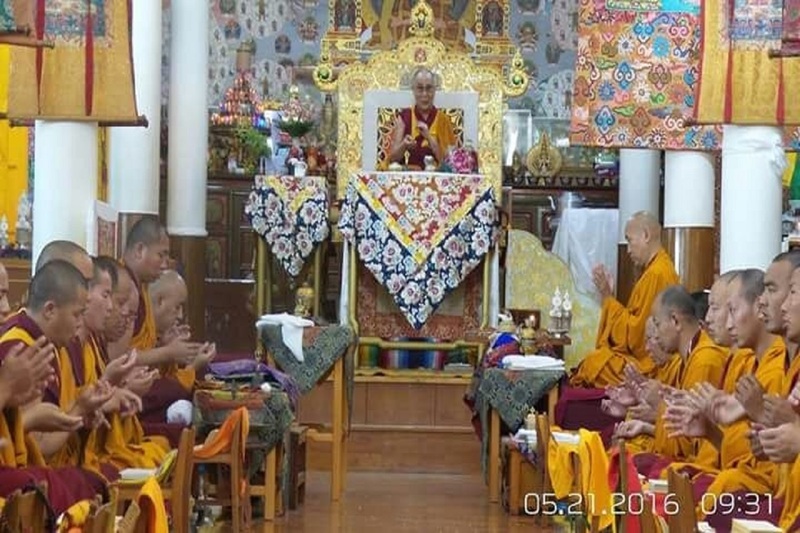 His Holiness the 14th Dalai Lama blessed the ceremony with his presence. 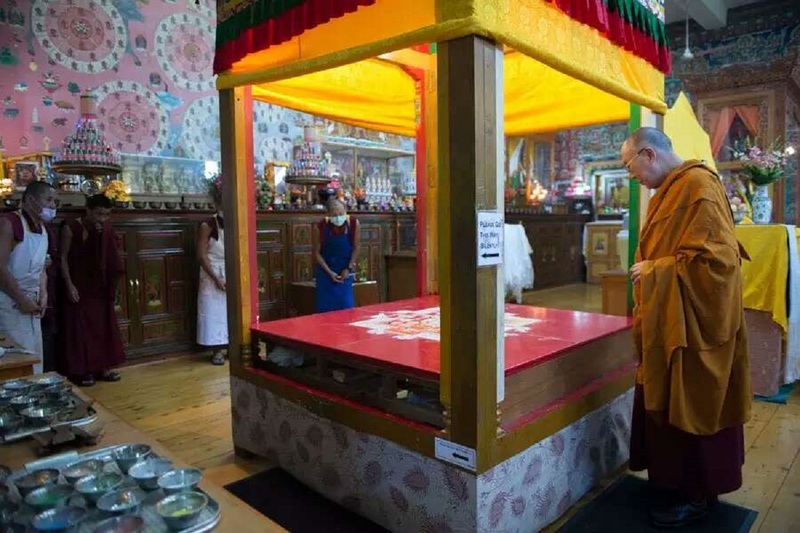 His Holiness gracefully inspecting the colored sand mandala of the ceremony. The ceremony is going to conclude on 23th April with ritual fire puja and then in the afternoon the abbot will dismantle the sand mandala, which is one of the important parts of the ritual activities. 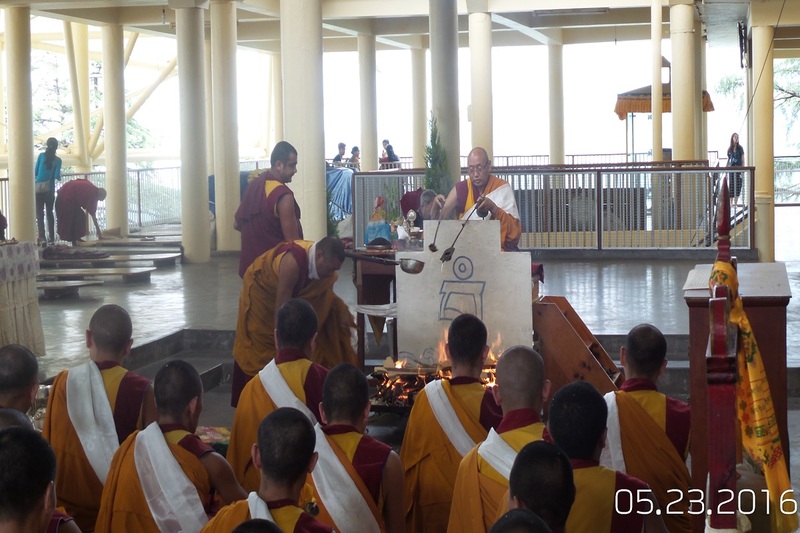 Fire puja offered on 23 of May 2016 headed by the monastery ritual master Ven.Lobsang Tendar. 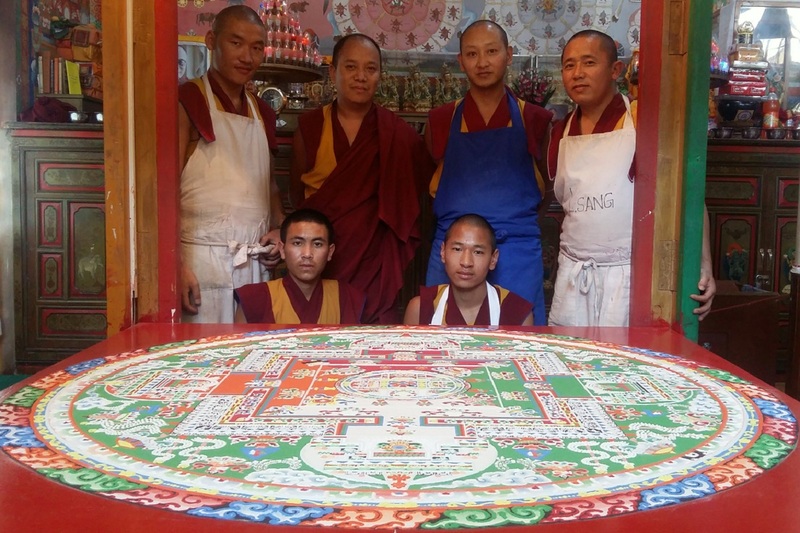 Group click with six monks who constructed the mandala. Next day ritual master and four monks will take the sand collected in a pot for Nagar puja at the river side and will offer the sand into the river.